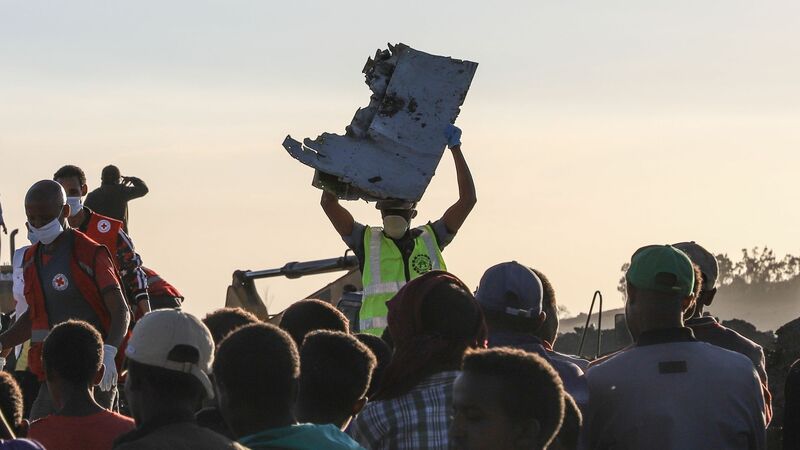 Ethiopia’s Transport Minister Dagmawit Moges recommended on Thursday that Boeing review its aircraft control system after preliminary findings showed Ethiopian Airlines crew followed procedure as the 737 Max jet nose-dived several times before it crashed. QuoteThe crew performed all the procedures repeatedly provided by the manufacturer but was not able to control the aircraft. Details: Moges said since "repetitive uncommanded nose-down'' conditions had been noticed it's "recommended that the aircraft control system shall be reviewed by the manufacturer." Ethiopian Airlines issued a statement on Twitter following the release of the findings, stating the preliminary report "clearly showed" its pilots on Flight 302 followed Boeing's recommendations. Driving the news: Boeing responded to the release of the preliminary investigation report of Ethiopian Flight 302 later on Thursday, stating the company will take "any and all additional steps necessary to enhance the safety of our aircraft." In a statement on the initial findings of the report, the Federal Aviation Administration said: "The ECAA investigation remains ongoing, with the participation of the FAA and the NTSB. We continue to work toward a full understanding of all aspects of this accident. As we learn more about the accident and findings become available, we will take appropriate action." Why it matters: A total of 157 people were killed in the March 10 crash shortly after takeoff from Addis Ababa. It was the second fatal crash involving a Boeing 737 Max jet within 6 months — prompting scores of countries, including the U.S., to suspend Boeing 737 Max flights. Authorities have said they had found clear similarities between March's Ethiopian Airlines crash and October's Lion Air crash in Indonesia. The big picture: Boeing is facing investigations from the Transportation Department's Inspector General, Justice Department and other entities examining how the 737 MAX was certified as safe to fly in 2017 and judged to be safe enough to continue to fly after the October crash of a Lion Air 737 MAX 8. The Senate Commerce Committee is investigating multiple whistleblower complaints accusing the FAA of improperly training its aviation safety inspectors, including some who reviewed Boeing's 737 MAX 8 jets. Canadian and European authorities are conducting their own investigations. Boeing has been working on new fixes to the MCAS software for its 737 MAX series jet. "As previously announced, the update adds additional layers of protection and will prevent erroneous data from causing MCAS activation. Flight crews will always have the ability to override MCAS and manually control the airplane," the Boeing statement indicated.